517 creations: looking for a father's day gift? 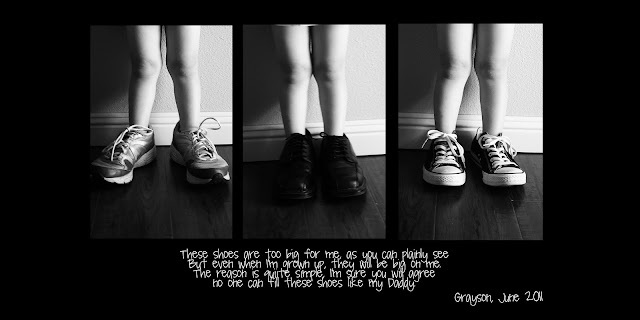 If you're looking for a sweet, sentimental, and QUICK Father's Day gift, check out our "Daddy's Shoes" Storyboard in our Etsy shop. Would you like one for your husband for Father's Day? 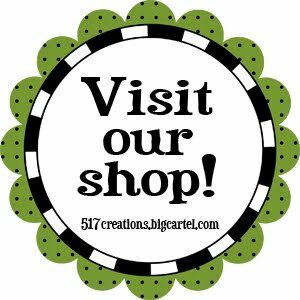 Visit our shop, 517 Creations on Etsy. This would also make a great birthday present. If you supply the photos, I'll do the work in Photoshop and e-mail you a photo that's ready to upload to your favorite print shop! I'll even customize it to any size you'd like. This particular print (pictured above) is sized to fit a 10 x 20 frame, so it can be printed at Sam's as a 16 x 20 for $5.95 and trim it down to size. A great Father's Day present for less than $20! like the idea and all the info...I like you share it.